English knights, cute Corgis, Harry Potter and more! – Cool San Diego Sights! 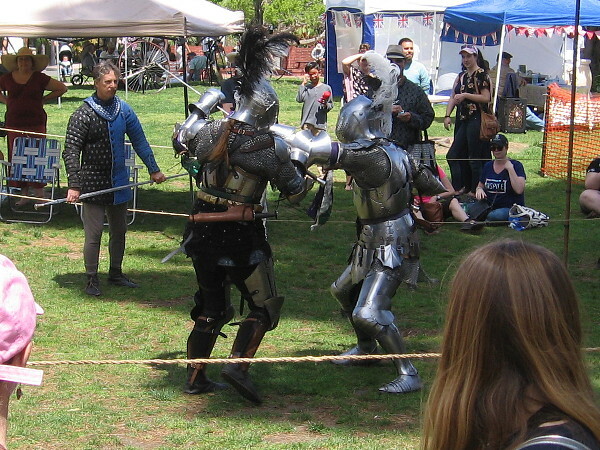 Knights in armor engage in mock battle during the House of England’s lawn program. 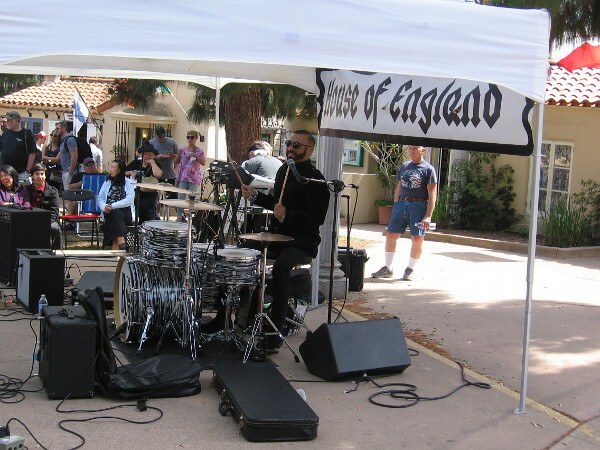 The House of England in Balboa Park hosted a really great lawn program today! 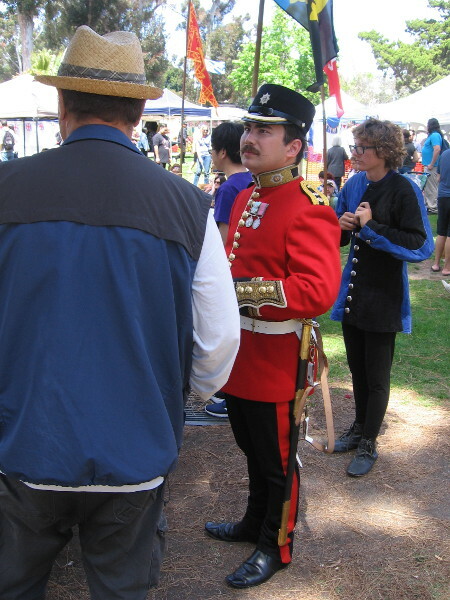 As I lingered on the grass at the center of the International Cottages, I saw historical costumes, several mock knight battles, a Beatles tribute band, and even a parade of Welsh Corgis! 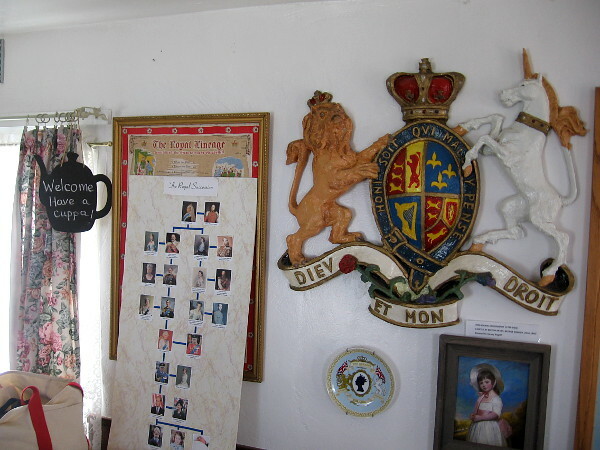 I also stepped into the House of England’s cottage to check out a bunch of cultural displays! 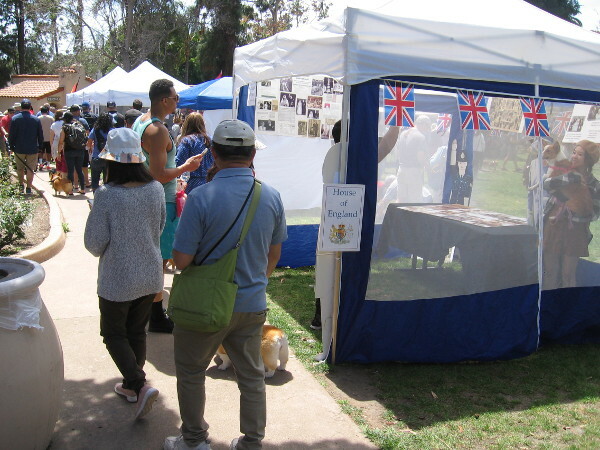 The annual House of England lawn program drew a good crowd to the International Cottages in Balboa Park. A member of the group Swords of Chivalry removes her steel helmet after some mock medieval combat. 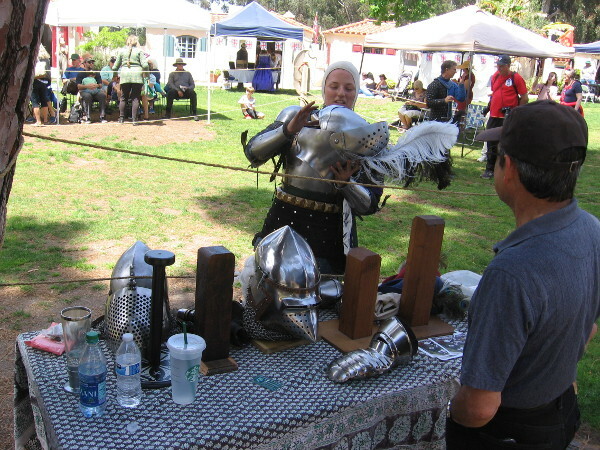 Other members of Swords of Chivalry have donned historical armor during the House of England’s lawn program. 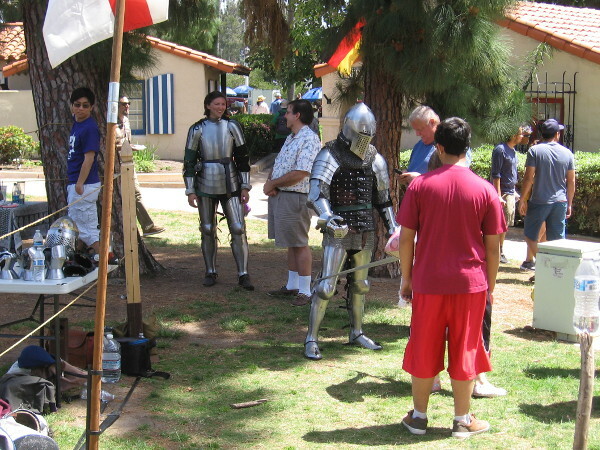 Kids had fun learning about the Age of Chivalry, a time long ago that now seems like pure fantasy. 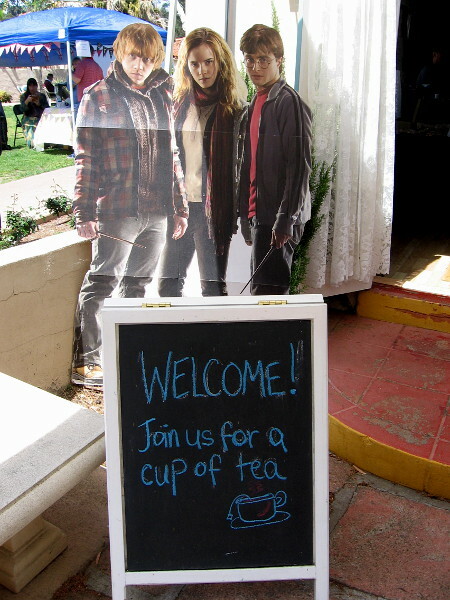 Ron Weasley, Hermione Granger and Harry Potter welcome visitors to the House of England’s cottage. Join us for a cup of tea. 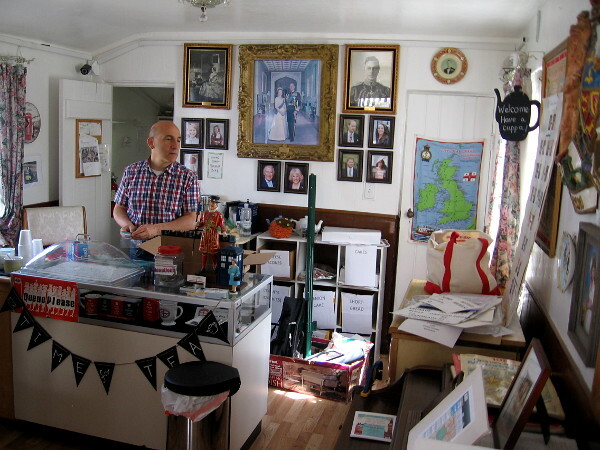 The House of England’s small cottage is full of interesting photos, artwork and cultural displays. One wall features the Coat of Arms of the United Kingdom. 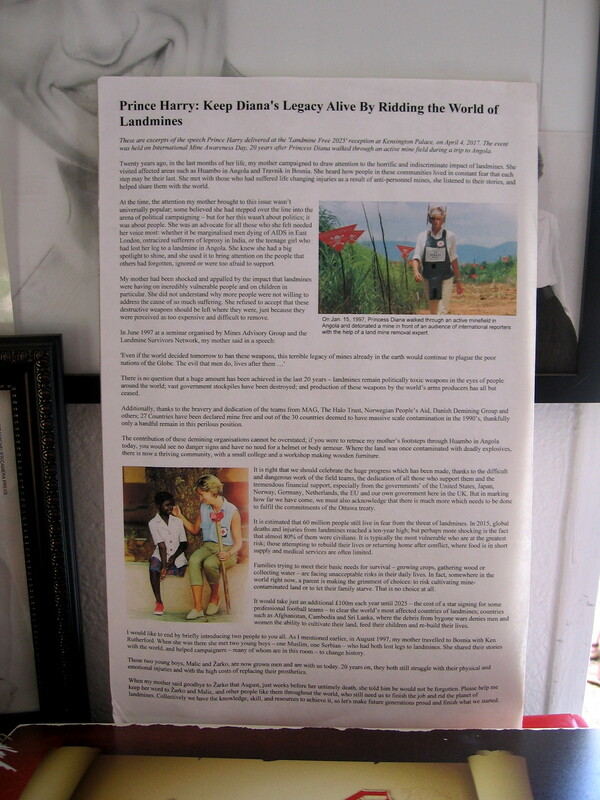 A nearby poster traces The Royal Lineage. 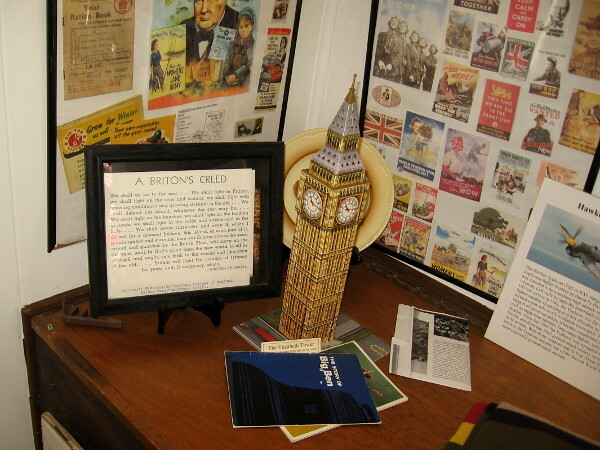 A Briton’s Creed, Big Ben,Winston Churchill and more! I soon spotted a bunch of Harry Potter stuff. 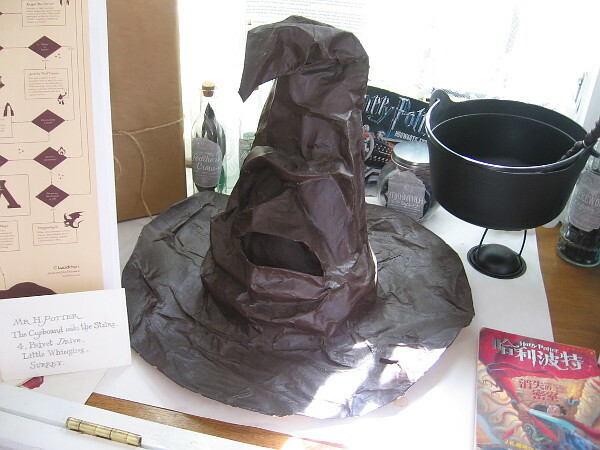 It’s the Sorting Hat from Hogwarts! 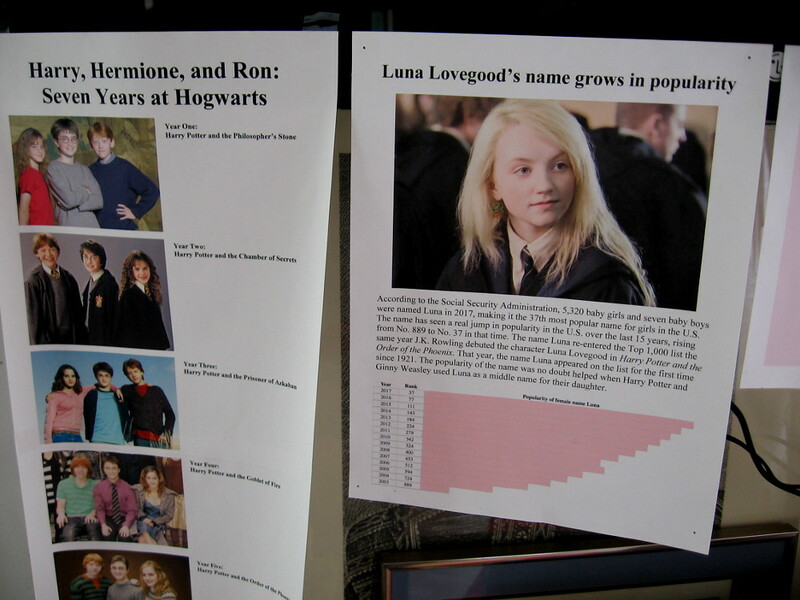 One chart shows how the name Luna has become increasingly popular due to the Harry Potter books and films. 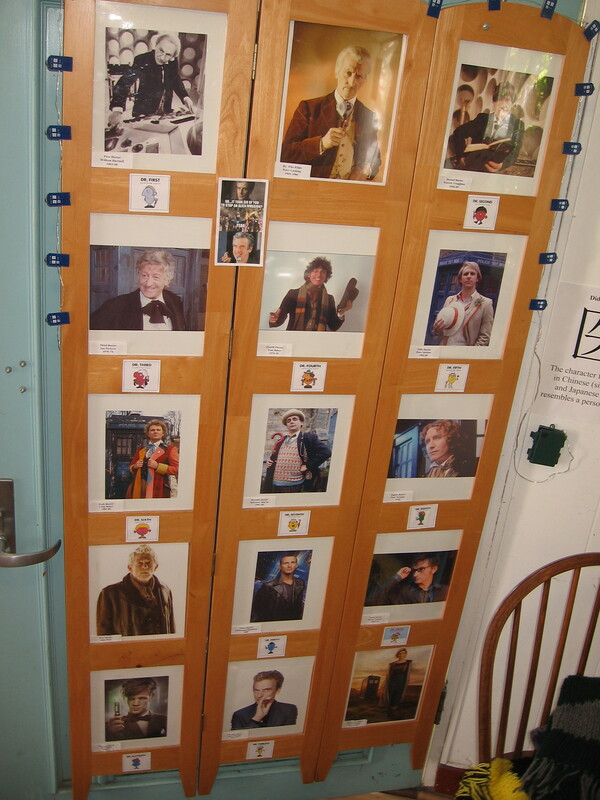 It’s all of the Doctors from the popular Doctor Who series! 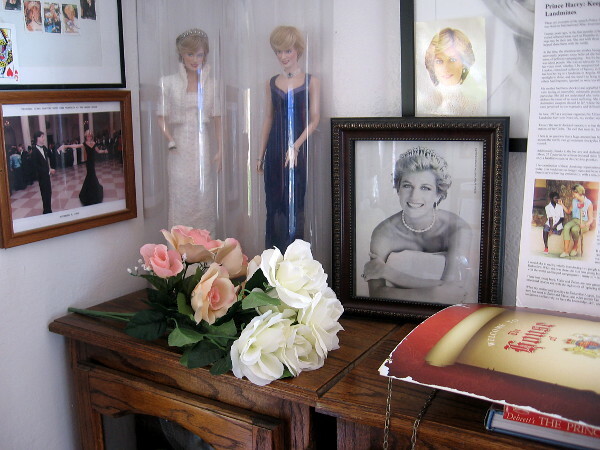 A large display in the cottage is devoted to the British royal family, and Princess Diana in particular. 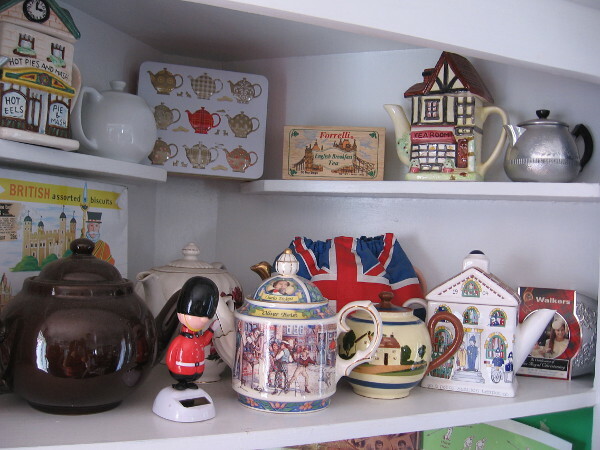 Look at all the fun, unique teapots! 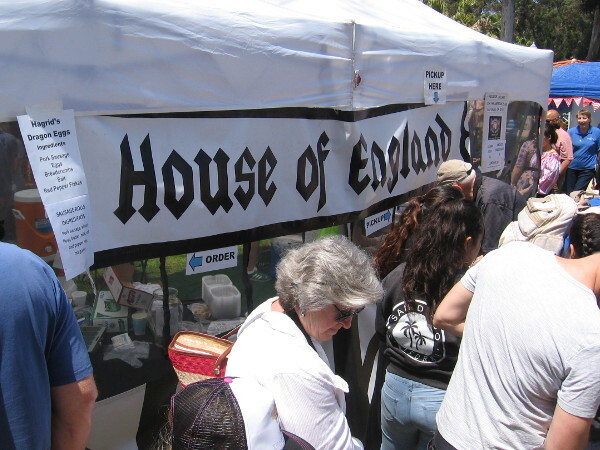 Back outside, the House of England had a food tent up. Delectable treats for sale included Hagrid’s Dragon Eggs! All sorts of tents along the grass. 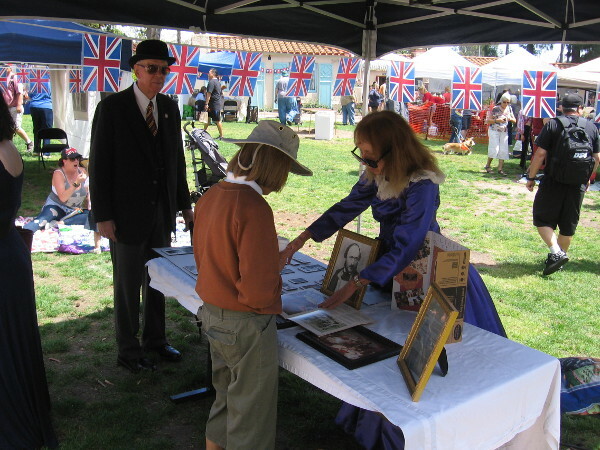 Many contained information about English culture and history. Some attending the cool event wore historical costumes. 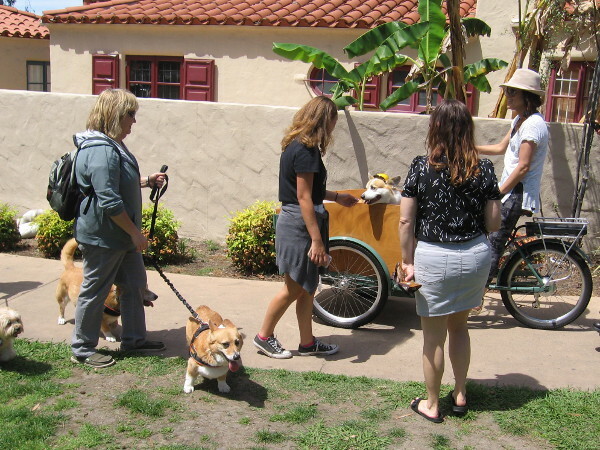 A parade featuring dozens of cute Corgis caught everyone’s attention. 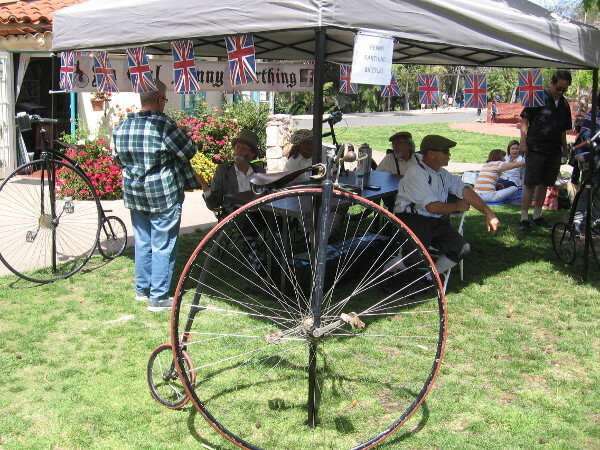 Some guys rode penny-farthings to Balboa Park’s wonderful House of England event. 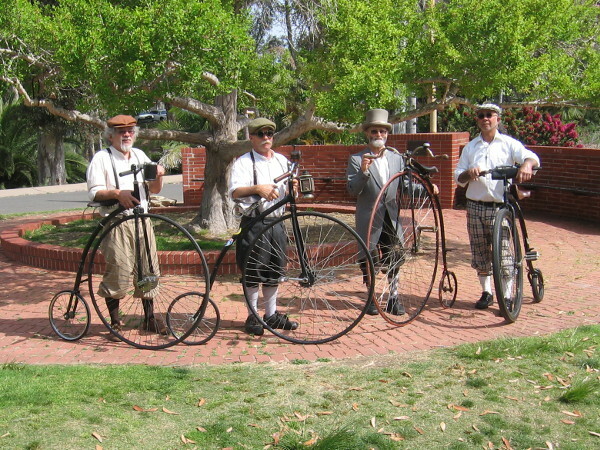 Four gentlemen and their high wheels. 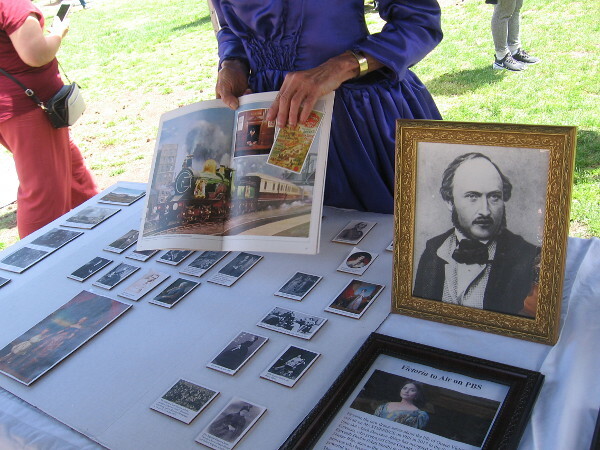 This elegant lady had a table that concerned the show Victoria on PBS. Images from 19th century England. 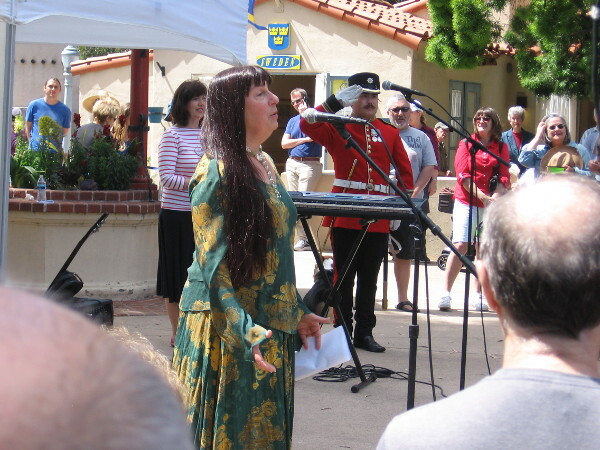 Claudia Previn Stasny, daughter of André Previn, sang The Star Spangled Banner and God Save the Queen to begin the program of afternoon entertainment. 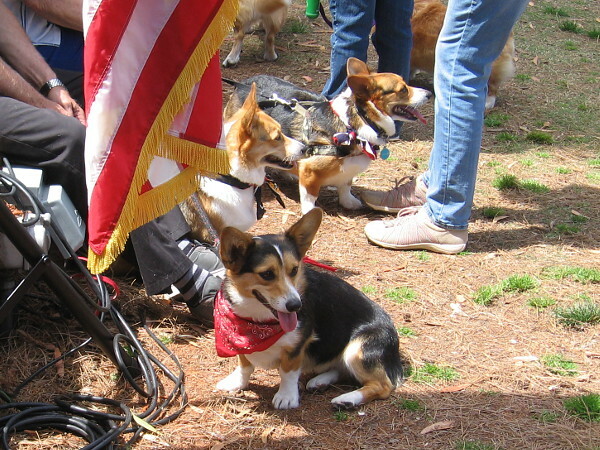 A happy group of Welsh Corgis hangs out by the stage. 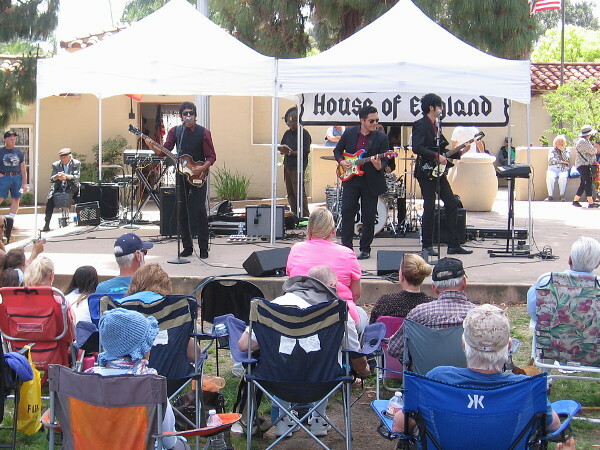 The Baja Bugs, a great Beatles tribute band, rocks the House of England’s lawn program. I think I see Ringo at the drums! 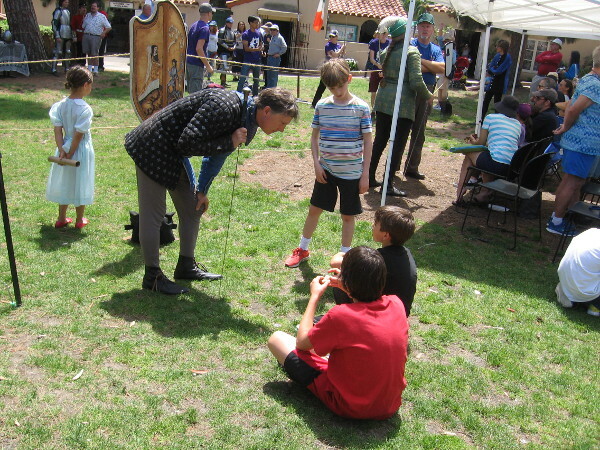 Battling knights entertain an outdoor audience at the House of England’s lawn program in Balboa Park! 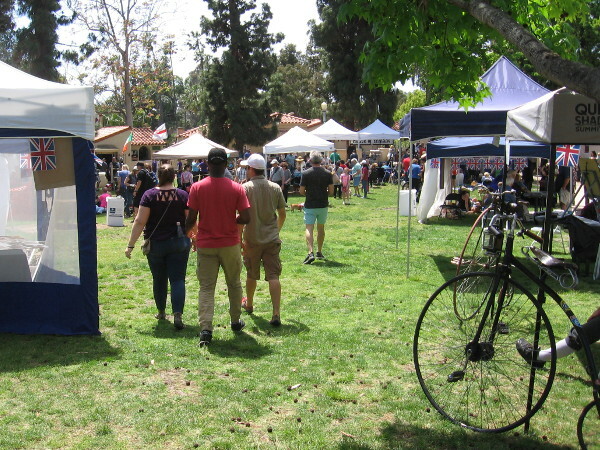 Previous Previous post: Earth Day at Old Town’s Native Plant Garden. 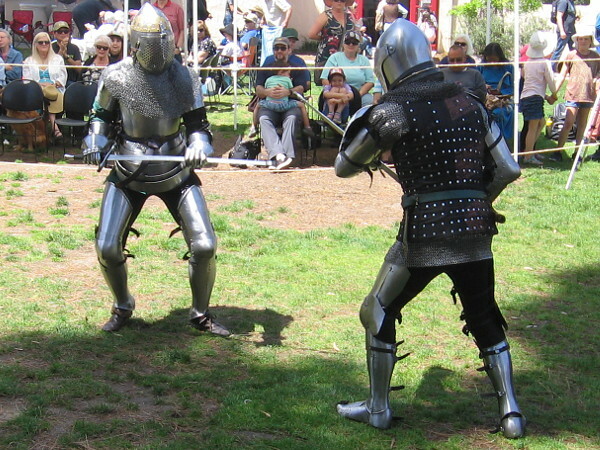 Next Next post: Swords of Chivalry knights battle in Balboa Park!